Uncategorized Archives - Epoxy Paint - Toll Manufacturing | Viking Paints Inc.
Posted on September 28, 2017 by Viking Paints, Inc. Step 1. Prepare the surface. 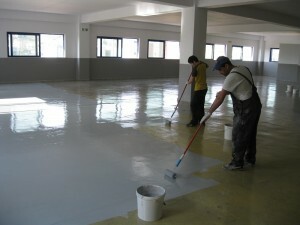 Preparation of the substrate is necessary in order to ensure adhesion between the epoxy product and the substrate. Suitable methods are sanding or diamond-grinding. Any surfaces that have been contaminated with oils may also require chemical cleaning. Step 2. Sweeping and cleaning of the floor. Use an industrial vacuum that picks up even small dust particles. 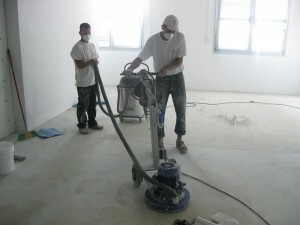 The floor must be cleaned of all dusts and residues before starting to prime. Otherwise you will have various particles trapped within the coat and adhesion will be significantly weakened. The less micro-dust on the surface the less primer you will need. Step 3. 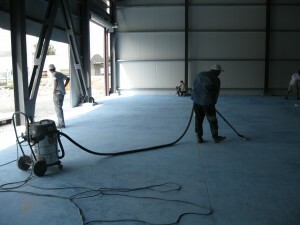 Prime the floor with a suitable epoxy primer. Always prime the floor, don’t believe claims that priming is not necessary. Priming will give your floor a longer life and better adhesion to the substrate. Furthermore it will seal the substrate thus eliminating the risks of bubbles and gasses. 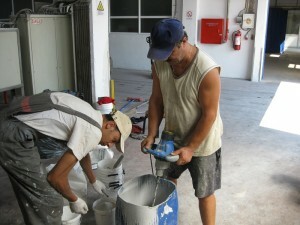 Priming also helps reduce the amount of product that will be required in the later stages. Ensure that the areas are ventilated properly. 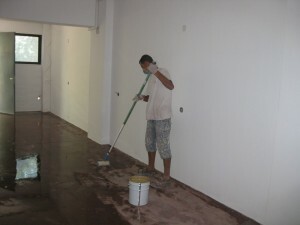 It is common to coat two layers of primer in order to properly seal the floor. Use a proper electrical mixer to mix the A and B component of the primer. Step 4. Fill all cracks, holes etc with epoxy grout. (This step can also take place before priming if you prefer) For thin cracks it may be necessary to slice them with a diamond cutter before filling in order to improve the anchoring of the grout. Step 5. Application of the first coat of epoxy paint. Empty all the contents of the hardener in the component A. Use an electrical mixer and mix at least for two minutes. Don’t skimp on the mixing! This step is very important. Poor mixing will lead to a tacky floor! Step 6. Apply the product with a roller. Use a good quality roller, as poor quality rollers may start to shed. You should be able to re-coat after 24 hours. The next day you may notice various problems that have appeared such as cracks, holes etc. Make sure that these are sealed-filled before starting the next coat. You may also need to sand some uneven surfaces that appeared after the first coat. If necessary wait an extra dry for the grout to dry before re-coating. Step 7 Apply the final coat. Before placing the final coat make sure all holes and cracks have been filled, and that all dust has been collected. Otherwise you will get an ugly texture on the final surface. 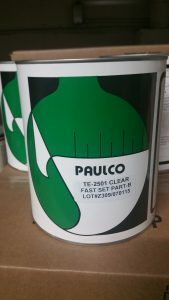 Remember most epoxy products have a pot life of approximately 40 minutes (or less) so only mix one bucket at a time and get to work immediately. Posted on June 20, 2017 by Viking Paints, Inc.
Paints come in two main varieties: Latex and oil-based So what are the differences, advantages and disadvantages? Latex paints are water-based and have some fantastic and useful advantages, such as being durable, fast-drying, low-odor, easily applied and can be cleaned up simply with soap and water. Latex paints also resist yellowing better than oil-based paints and have better mildew resistance. These advantages makes latex based paint ideal for bathrooms, kitchens, and laundry rooms, where there is often moisture. Oil paints of high quality are harder paints and have better abrasion resistance than latex paints. They also have a slightly higher gloss than the latex-based paint. A great perk to oil-based paint is that it goes on smoother and is more durable in the long run. 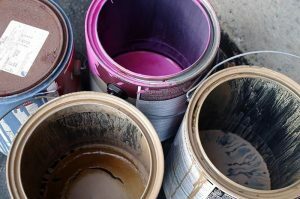 A disadvantage to keep in mind is that these paints have a stronger odor, take longer to dry and cannot be cleaned up with just soap and water (a solvent such as paint thinner needs to be used for cleanup). Paint sheen simply means the level of glossiness in paint. Today, most paints come in one of the following sheens: flat, satin or eggshell, semi-gloss and gloss. Flat paint is the standard for most walls. It has the lowest sheen available and when it dries, it appears completely non-reflective with a smooth, matte finish. Flat paints are great because they conceal imperfections on walls that were there before you painted – as well as imperfections that occur after you paint. This is the reason why flat paint is recommended most for painting drywall surfaces or a surface that is not sanded well. Flat paint can help to make the surfaces look smoother and more uniform, and if the wall or surface gets any scratches, you won’t have to worry so much, as nicks and scratches blend in fairly well to flat paint! One of the big disadvantages to flat paint is that it is hard to clean. 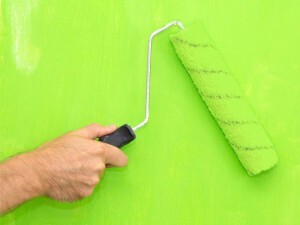 Because of its somewhat porous texture, the paint can hold onto dirt and make cleaning more difficult. Your best bet is to use it in areas that are not frequently soiled. Satin, or eggshell paint, is also known as low-luster paint. While these paints are low-luster, they are more lustrous than flat paint and have a nice, slight sheen when compared to flat paint. The slight sheen is what makes eggshell paint able to bring a warm look and feel – and depth – to a room. 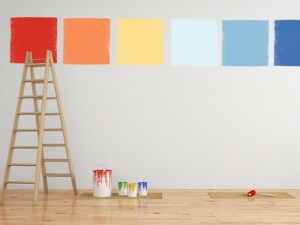 This kind of paint is also easier to clean and can be used on any wall in your home. Paint a small area of a wall with eggshell paint to make sure this look what you want to achieve. Semi-gloss paints are very popular in homes with young children because it is the easiest to clean among all the paints. This is the reason why semi-gloss paint is frequently used for children’s rooms, kitchens and bathrooms; it is so durable. If you choose to go with a semi-gloss paint, then make sure you choose one that is 100% acrylic latex, since that is the highest quality latex paint. Keep in mind that semi-gloss paints show a lot of imperfections, so if you have imperfect walls and young children, you may want to weigh out the pros and cons. Your best bet is to use it for the kitchen, bathroom and kids’ rooms. Gloss paint is the toughest and most durable of all paints – and the shiniest, too! This very high sheen paint is often used on doors and in areas susceptible to getting dirty. It is also used on trim, baseboards and door frames. If you’ve ever wondered about refurbishing a metal object, or about painting metal surfaces in general, this is completely doable using metal primer. It’s also fairly easy to accomplish! Even better, metal surfaces of repurposed objects do not require you to maintain the previous paint color, which can open the door to all sorts of interesting projects. As long as you prepare your metal properly before applying the paint, you will be able to complete this task easily. Work in a ventilated area. Working around paint and rust particles can be harmful, so choose a well ventilated area where you can put a drop sheet down underneath your metal project. Wear gloves and a dust mask while you work. Keep a damp cloth nearby to wipe away paint, dust and rust particles periodically while you work. This is much safer for you than waiting until the end to deal with them. If there is any chance the paint you are stripping may contain lead, the dust mask is an absolute must for your own safety. Remove the old paint from the surface. Use a wire brush to strip the paint from the metal, remembering to wipe dust and paint particles away with a damp cloth as you work. If you prefer, you can use sandpaper to remove the paint. A combination approach is best – stripping large surfaces will go much faster with a wire brush, and then use the sandpaper to get in the nooks and crannies. A cordless drill with a wire brush attachment is also an option, and a good one if you are stripping away paint from a large surface area. Remember to wear protective ear muffs when operating drills. Clean the surface of the metal. Wipe away all paint dust with a damp cloth and discard the cloth. Scrape off any hunks of remaining paint. Use a fresh cloth to give your metal a thorough rub down, cleaning off all loose paint, dirt, grease and grime from the surface. Even if the surface looks fairly clean, don’t skip this step. You want the surface of the metal to be virtually spotless, or as close as you can get to it. Failure to clean your metal properly will result in a lousy paint job. The paint won’t stick to the metal properly and will peel off easily. Oils on the surface of new galvanized metal, which may or may not be visible to the naked eye, can hinder your paint job if they aren’t removed. Use a simple detergent solution to wipe down new galvanized metal. Sand down the metal until it is as smooth as possible. 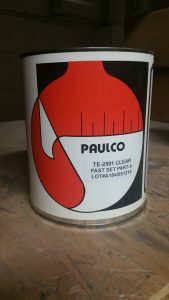 This will ensure that you get the longest life out of your paint job. After sanding, wipe down your metal one final time with a damp cloth to remove any lingering debris. Apply a zinc-chromate primer first if the metal is rusted. You will want to do this before you put on the regular primer, but only if you are working with rusted metal. If your metal isn’t rusted, start with the usual oil-based primer that is described below. Before application, scrape off any loose rust and wipe it down to remove any flakes or residue. Once the rust is removed, coat the metal with zinc-chromate primer before using a full-bodied primer. 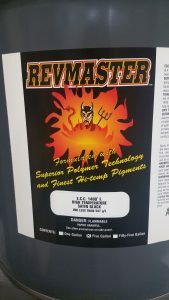 You will need to prime your surface with the full-bodied primer immediately after you use one of these products, so don’t apply them until you are ready to prime. Zinc-chromate is a corrosive resistant substance. You spray it on first because you want it to be closest to the surface of the metal, to protect it from rust. After applying this substance, you should immediately apply the regular “full-bodied” primer so that the zinc-chromate remains as the first layer. It also acts as an adhesive for the full-bodied primer. Choose an oil-based primer. Make sure your primer and your paint are compatible with one another. Look for primer products that are made specifically for metal, as well, since these will best adhere to the surface. Most primers come in a spray can for ease of use, but if you prefer to use a brush to apply it, metal primer also comes in a bucket or can for that purpose. Primer prepares your surface so that the paint will adhere well, but it also helps to smooth out any color and texture that you weren’t able to remove from it. Paint the surface. Make sure not to apply thick coats, it is much better to apply multiple thin coats. Posted on November 22, 2016 November 22, 2016 by Viking Paints, Inc.
1. Position the crook of the paint roller frame over the rim of a large garbage can with the roller hanging down inside the can. 2. Train water from a garden hose spray nozzle set to a tight pattern on the edge of the paint roller so it spins the roller at high speed. 3. Move the stream of water up and down along the paint roller for a minute or two until the water coming out of the roller is clear. 4. Take the roller off the frame and stand it on end to dry. Confusion is at an all time high for DIY homeowners looking to apply an epoxy garage floor paint. Should I be using an epoxy coating or an epoxy paint? What is the difference? Which one is the better choice? To put these questions to rest we’ll explain the difference between epoxy paint and epoxy coatings. 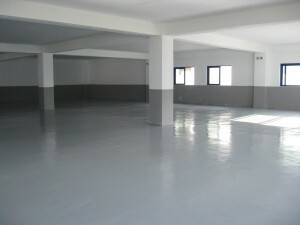 When looking to update the surface of your garage floor your first step is to usually apply a latex acrylic type paint. 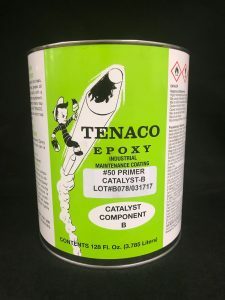 Many manufacturers often place a small amount of epoxy in the paint mix and refer to it as 1-Part epoxy paint What this gives you is better adhesion and durability than using acrylics. 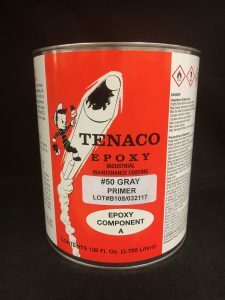 But rest assure this is most certainly not an epoxy paint. The term epoxy paint stems from epoxy manufacturers taking notice of the terminology people were using when searching for epoxy coatings. So corporate marketing teams made the decision to brand their products as epoxy paints. This made it easier for consumers to find their products both in stores and online. However, this is causing mass confusion and a general misunderstanding for the public. In fact, if you are seeing a product advertised as epoxy paint for your garage floor it is most likely paint. 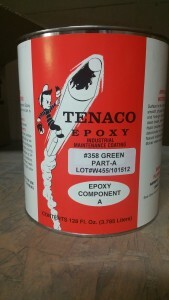 This can add to greater confusion when purchasing a paint product when it is truly an epoxy product. What is an epoxy coating and how does it work? An epoxy coating is a two part product consisting of one part epoxy resin and one part polyamine hardener. Once this product is mixed you are on a race against time. Note that if your purchase a color epoxy you are actually tinting the resin. If no color is selected a resin will dry clear. When using an epoxy coating keep in mind your completed surface is not just a gloss finish. Different than paint, epoxies provide a durable and resistant surface providing you with sustainable surface. Application is breeze and you can gauge the thickness of the application based on the volume of the solids content. 50% solids mean that you have 50% of the product remaining on the floor. Always research any epoxy coat system kits. Usually they will contain low solids and apply thin. This means you are cutting the lifespan of the surface down. Even if you are on a budget it will be worth the savings long term to go with a premium product. In the future don’t cave into the name game when deciding on epoxy paint vs epoxy coating. As you can see, epoxy paint and epoxy coating are one in the same. They are both an epoxy coating. Do your research first, as this will help you to understand the type of epoxy you are purchasing and what kind of results to expect.